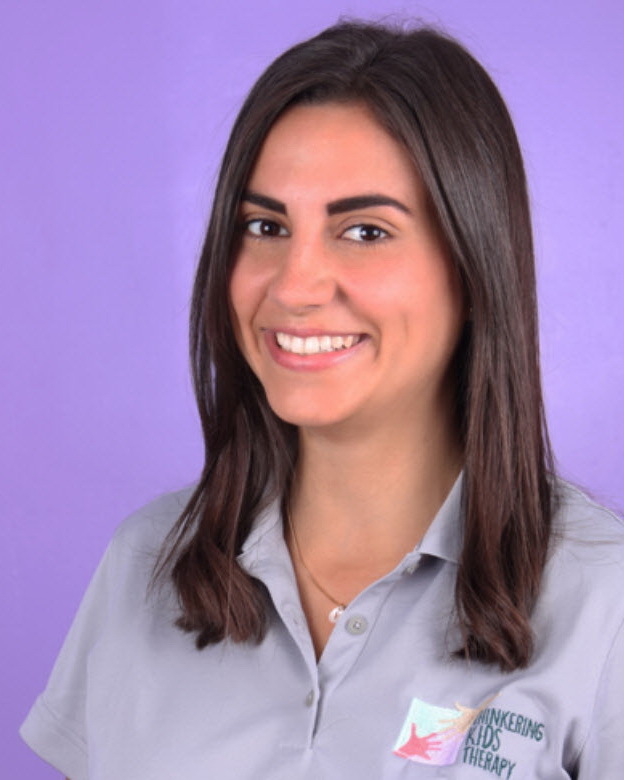 Victoria Alliegro is a Registered and Licensed Occupational Therapist who received her Master’s Science in Occupational Therapy from Florida International University. As a graduate student, Victoria interned at Integrando y Aprendiendo (located in Lima, Peru), Miami-Dade Public Schools, and Miami Lighthouse for the Blind, working with low-vision adults and children. She graduated as a POPS (Preparing Occupational Therapists for School-Based Practice) scholar and has been working alongside Veronica ever since. Victoria has extensive training in the DIR®Floortime model, TAMO, Handwriting Without Tears, Integrated Listening System (iLS), and the SOS Feeding Approach. She is thrilled to be a member of the TKidsT family and pursue her passion of working with children and their families.